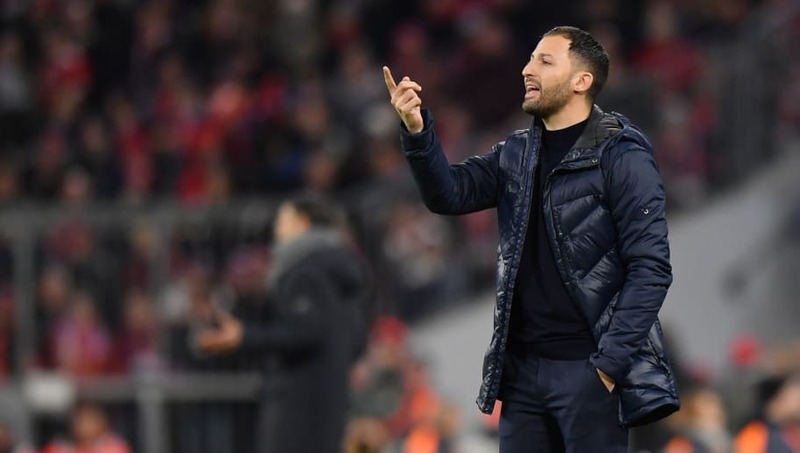 ​Schalke manager Domenico Tedesco has said that the result against Bayern Munich was deserved, as they lost 3-1 on Saturday afternoon. Die Konigsblauen were beaten by goals from Robert Lewandowski, Serge Gnabry and an own-goal from Jeffrey Bruma. 18-year-old Ahmed Kutucu scored the visitors’ only goal, in a lovely first-half counter attack. ​Schalke equalised 14 minutes after Bayern opened the scoring, as Kutucu broke through and finished very well to draw the visitors level. However, they were behind once again 108 seconds later, as Lewandowski finished wonderfully. When Schalke were 2-1 down, Tedesco chose to bring midfielder Sebastian Rudy off for Omar Mascarell after just 33 minutes. It was a surprisingly early change by the German, after Rudy had been partly responsible for ​Bayern’s two goals. The result sees Schalke drop down to 13th in the ​Bundesliga, seven points off the relegation play-off spot and just eight points off the bottom two. The defeat makes it just one league win in four matches, having lost 2-0 to Borussia Monchengladbach last Saturday. Schalke are back in action next Saturday, when they welcome Freiburg to the Veltins-Arena. They are then in Champions League action on 20 February, when they host Premier League champions ​Manchester City.